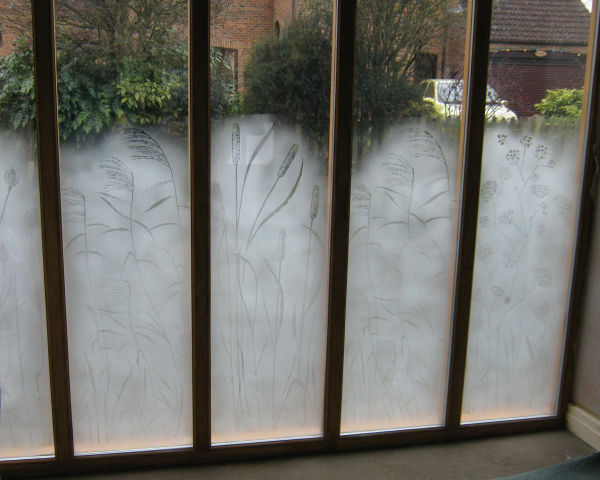 This large sandblasted screen provides privacy for a room in a Grade II listed building. The glass is triple glazed to comply with thermal retention regulations. The subtle pattern has been created by double-layered sandblasting of a hand painted design. The total area of the screen is in excess of 2m x 2m.